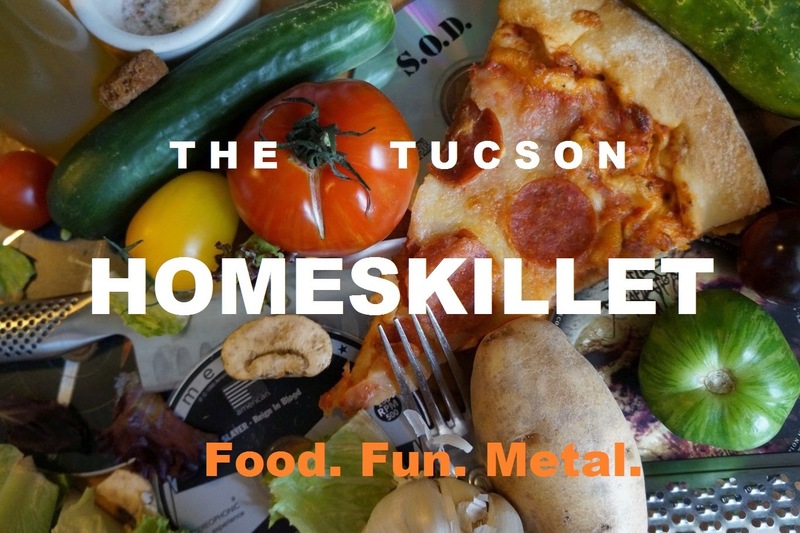 The Tucson Homeskillet: The Tucson Homeskillet Food Truck Spotlight: Presenting the Zany Beaver! 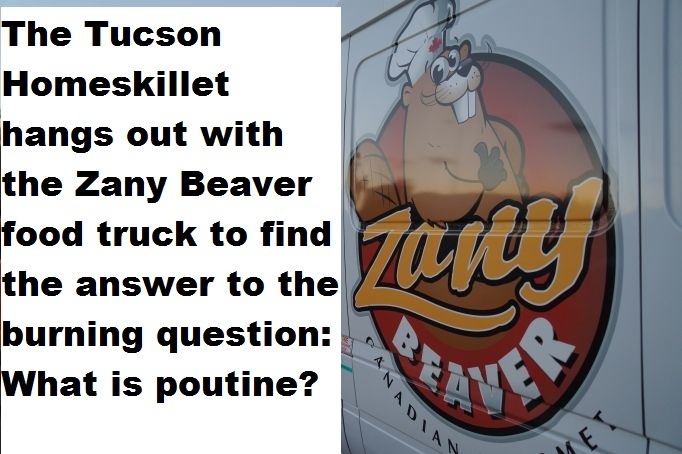 The Tucson Homeskillet Food Truck Spotlight: Presenting the Zany Beaver! But before I get around to answering that age old question, let me tell you how I discovered not only poutine, but one of the best food trucks here in Tucson. It was a chilly early autumn evening, She-Ra and I were at the pub when a shiny white van pulled up outside. The bartender informed us that a new food truck had volunteered to feed the hungry and cold drinking patrons inside. "It's poutine", said the bartender. "Ever hear of it?" Luckily, we have. Being big time cooks and fooders, we knew it was a Canadian comfort food which consisted of fries covered in gravy and topped with cheese curds. Sounds weird right? Yeah, we thought so too. But being not only food adventurous we were also quite hungry, so we went out to the truck to see what was going on. 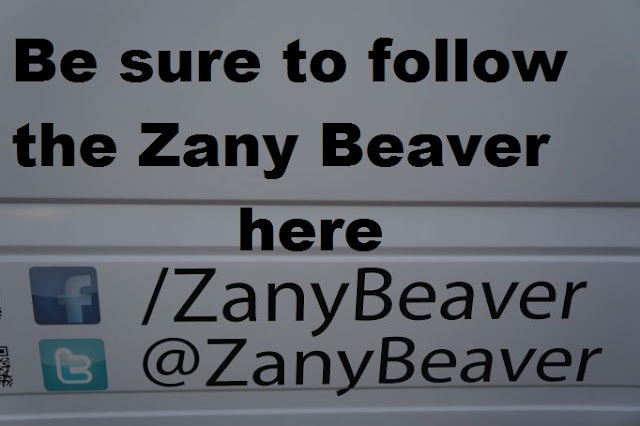 The truck was called the Zany Beaver, the name alone made me love them immediately. It was run by a nice middle aged couple and they not only offered up the standard poutine fare, but also ones topped with bacon, and pulled pork and chicken and bacon and....wait, did I mention bacon already? Ah, who cares! Fries, gravy, cheese and bacon. Sold! So we placed our order and waited inside. After a few minutes, the lady working the front window delivered two heaping bowls of the stuff. From the crisp night air, steam rose off the curds and gravy, the bacon glistened in the moonlight and fresh cut fries jutted out from under the weight of the toppings like a deep fried tentacled seabeast waiting to be devoured. It didn't take long for us to fork up, tuck in and go for it. Let me tell you...it was glorious. For some divine reason, all of those flavors and components, together, freaking worked like a magical chalice of joy and carbs. It did not take long for us to become mega fans of not only poutine, but of the Zany Beaver. 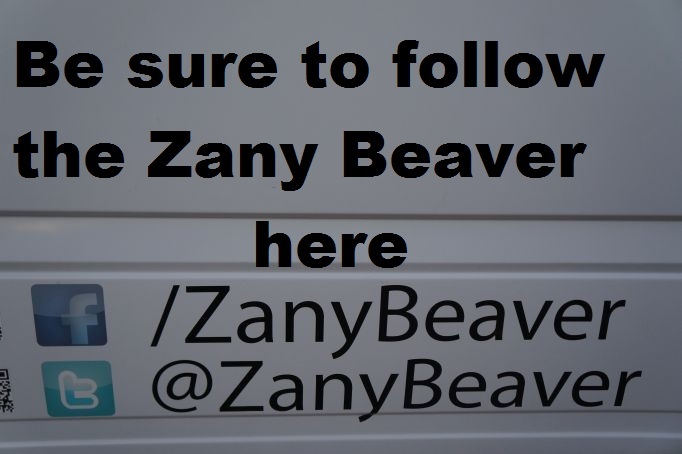 Owned and operated by Canadian native husband and wife team Craig and Dianne Brewer, the Zany Beaver became a labor of love because both of them had pretty normal jobs before running a successful food truck. "I worked as a photojournalist for many years with weekly and daily newspapers in Tucson, and Westfield, MA, " Dianne tells me as she hands off a bowl of goodness to a lucky customer. "Ironically I had a weekly food column in Westfield, featuring family favorite recipes that I wrote on. Craig has always worked in I.T., and still does." I then had to know what was her early influence as far as food and cooking was. "I would say my dad was a huge influence in cooking," Dianne muses. "I would watch him throw things together in a pinch and always come up with some amazing meals that I now realize would be classified as stir fry these days. I always loved to dabble and experiment with cooking. Eating wise, I can go far back to my grandmother’s rice pudding. It’s a British dish. To this day it’s still one of my favorite treats. Unfortunately, my grandmother and only one of my aunts took it to their grave, and no one else in the family learned how to replicate it. All my cousins and myself are still trying to figure that one out." Have some fries with those cheese curds? Yeah man! With Canada, currently, being a culinary hub and go to location for serious chefs and eaters, I wanted to get her take on what defines Canadian cooking. "Many, many different dishes. I love Quebecoise tortiere," she says with a flourish and smile. "It is a special meat pie made with ground pork and other ingredients that is prepared for special occasions. There's also salmon pie, fish and chips, shepherd’s pie, butter tarts, Nanaimo bars, pouding chomage, (which defines as a poor man’s pie) and, of course, poutine!" Check the poutine skills. Amazing! When it came time to quit their jobs and open up a food truck I just had to know...why poutine? "Why not? ", Dianne reacts with a chuckle. "I watched poutine make it’s trip across Canada once it crossed the Quebec border in the 1990’s as the wave continued over to British Columbia. And as it moved down the west coast of America into California, Arizona seemed to be the logical next step." "Poutine starts with a base of French fries, then topped with cheese curds and gravy," she informed when I asked her to define the dish to those not in the know. "Traditionally, in Quebec, this was the go to dish. As it skipped across the country, others added variants to the dish, like meat, etc., and changed the concept. It is basically translated into a mess, but it’s oh so good! Imagine a fully loaded deep fried potato as compared to fries. It’s the same concept. It means good eats with beer after a long night for those who have never experienced this." So now that they knew they wanted to make poutine full time, I then had to know about how the concept came about. "We were watching a food network show on deep fried anything one night. We made a joke about many things that we could deep fry. Somehow I got onto the concept of how I missed my poutine, and it was like a light went on over both our heads, and the concept was born from there." "As for the name, well, my husband had this wacky idea which I’m not even going to delve into as a start," Dianne starts with a wink and nudge. "It was a little bit too risqué for myself. It did involve the word beaver though, as the beaver is actually Canada’s official animal, kind of how the eagle is in America. I knew I wanted that in my name, to communicate to fellow Canadians here. We agonized for months trying to figure out what would work with beaver, and it wasn’t until we were lost on a business trip in Phoenix one Sunday that we saw this billboard on the Interstate 17 advertising “Zany” prices on their product. We believe we got lost for a reason on that trip, because zany just seemed to go so well with beaver, and of course, it reflects some of my personality. We loved it!" "Crazy long days," she admits looking a bit tired just talking about it. "Lots of product planning, ordering, and prepping on the truck, then traveling to events. It takes a lot of time. Once we get to the event, it’s either very very busy, or slow. It can be a lot of hurry up and wait, or hurry up and keep that line moving. I have sometimes been up at four in the morning to pick up supplies at the local restaurant supply stores, to finish the day by midnight or even later, when we get extremely busy." The highs of owning a food truck? "The highs are working with the foodies (and fooders!) and the enjoyment of watching people as they sample their first poutine." "The lows are the many many hours of off-site work that not everyone is aware of in what it takes to run a small business. A food truck is a small business, it involves accounting, paying taxes, filing tax returns, bookkeeping, budget planning, and great organizational skills to keep it going, as well as looking for and confirming events. One of the major major lows is when equipment on the truck, or something on the truck breaks. It can add up in loss of income and events." So what's next for the Zany Beaver? "We have a lot of ideas that we’re tossing around at the moment," she mentions with a knowing glance. "We’re not sure quite what direction we’re heading in though. We fancy the idea of a brick and mortar in time, but we’re not quite sure where in town it would be most successful, and if we’re willing to take that plunge. We’ll just continue to keep on trucking for now." "My favorite dish varies on any given day," Dianne admits when I asked what her favorite menu item was. "One day I want to say chicken, then I lean over to bacon, then pork. I guess you can say that the menu was based on all my very favorites. In Quebec they have a specialty deli meat called 'smoked meat'. If ever there was a favorite poutine for me that is it, but unfortunately the ingredients in the brisket inhibit the sale of that product here in America." For now, we here in Tucson just want to thank the Zany Beaver for even being here. Poutine isn't an everyday dish (well, for some it might be, but you gotta have uncanny gastro-dynamics) but it is a special treat when you see the bright white truck with the smiling beaver on the side. On those particularly cold days here in Tucson, or you've had 5 too many to drink or you wanna bulk up for that hike up to the K2, poutine is the ideal meal to get you motivated. It is luscious, it is decadent, it is dense and it is crazy delicious. The Zany Beaver have this Canadian comfort food on lock down and will most likely be the only real poutine game in town for quite some time. And we here at the Tucson Homeskillet, are perfectly alright with that. Oh My god! That gave me mouth watering. I want to Start A Food Truck in my street before that am studying on it. Thanks for sharing. Keep exploring. Cargo trucks and Food trucks need well covered tonneau. for that, best roll up tonneau cover can help to protect from thieves as well as harsh weather.